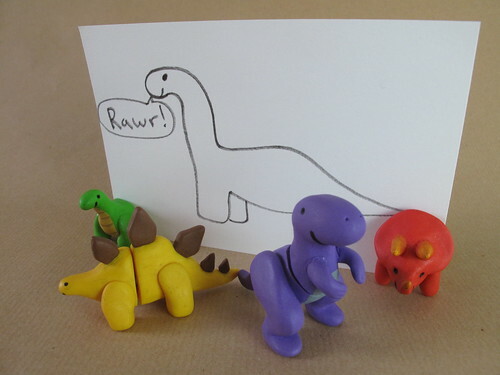 From left to right, there’s an apatosaurus (green – aka brontosaurus), stegosaurus (yellow), tyrannosaurus (purple) and a triceratops (red). 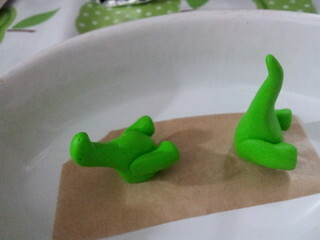 Each dinosaur was moulded from Fimo in one piece first. 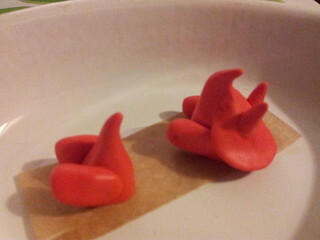 I then placed them in the fridge for a few hours to make the Fimo harder – so it wouldn’t deform when cutting. 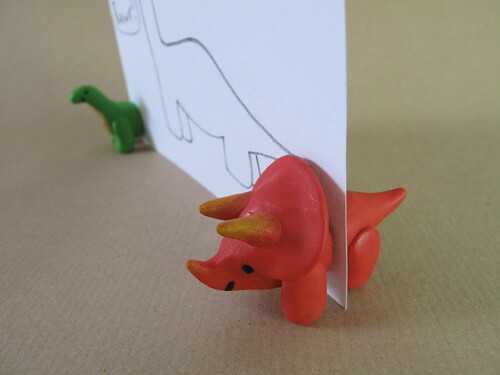 I then used a “tissue blade” (a very thin long blade) to cut the dinosaurs into halves before baking in the oven. I then carefully out out holes for the magnets in each half – taking care to make sure the magnets were aligned correctly. Initially I used epoxy glue to glue the magnets in place, but later just opted for super glue, as it dries much quicker and was just as strong. After the magnets were glued and the glue was dry I painted eyes, mouths and a few other features (e.g. 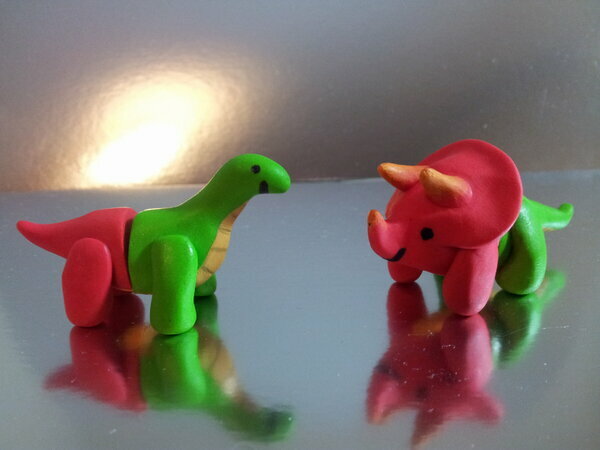 yellow horns on the triceratops) with acrylic paint. I then used some matt varnish to protect the paint work.